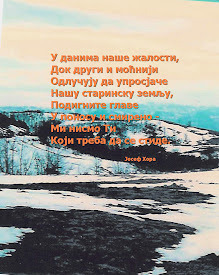 Aleksandra's Note: There are those among us who live a legacy. Dr. Ljubo Vujovic of the Tesla Memorial Society of New York is one such gentleman. 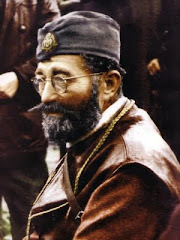 Along with his dedication to teaching others about the role the great Serbian genius Nikola Tesla has played in so many essential areas of our lives, he has also dedicated his life to promoting the legacy of the WWII Halyard Mission Rescue Operation. He has recently published two special picture books dedicated to Halyard that are now available to the public - "Operation Halyard" and "Operation Halyard Photo Collection". 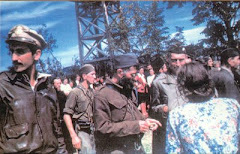 Lots of photographs highlight the text describing the many different aspects of this highly classified rescue operation that resulted in over 500 American Airmen and a number of other Allied Airmen being rescued by the Chetnik forces of General Draza Mihailovich, Supreme Commander of the Yugoslav Army in the Homeland. These Americans and other Allies were taken care of, kept safe from the German enemy, and ultimately returned back home without a single loss of life. The two books are full of valuable information and will provide great insight into an episode in 20th Century history that every American should be made aware of. 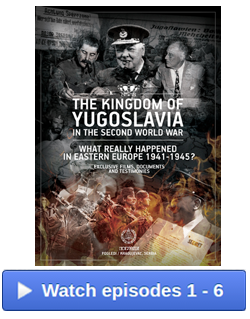 There has been a severe lack of education in the United States about this epic WWII chapter and Dr. Vujovic's contributions go a long way towards rectifying that injustice. The Americans and other Allied Airmen were sent to bomb the Ploesti oil fields in Romania in 1944, a primary source of fuel for Hitler's war machine. The airmen were subjected to horrific German anti-aircraft fire. 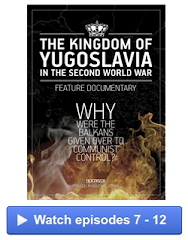 Planes were shot down over Nazi-occupied territory in Yugoslavia and a number of airmen didn't make it. Those who did were very fortunate to have ended up on territory under the command of General Draza Mihailovich. 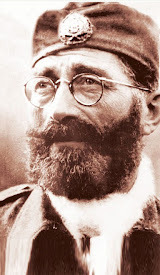 General Mihailovich and his Chetnik forces by that time had already been abandoned and betrayed by the Allies, their support having moved entirely to Marshal Tito and the Yugoslav Partisans, the communists. 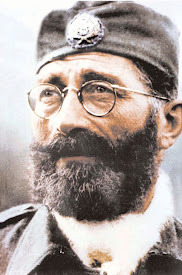 Despite that, General Mihailovich and his Chetnik forces, and the Serbian people loyal to them, would remain people of honor - they would do the right thing, regardless of the sacrifices they had to make and the ever-present danger to their homes and their very lives. It was common understanding that any "enemy" military personnel finding themselves in Nazi-occupied territory must immediately seek the closest German unit and surrender to it. If they did not, they would be considered "spies" and if captured, they would be executed. Also, it's my understanding that the Germans were offering 5,000 marks for every Allied military personnel delivered to them. The fallen American Airmen who had survived the air assault of the Germans remained on Serbian territory for extended periods of time without surrendering to the Germans. It was not only a huge risk they took, but it also risked the lives of their rescuers. The Nazis were brutal and ruthless with their reprisals, especially against the civilian population. 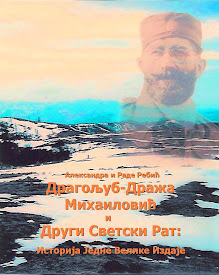 While the Americans and other Allies were recovering from their wounds and being taken care of by the Mihailovich Serbs, preparations were being made thanks to the Halyard team commanded by Lieutenant George Musulin, Master Sergeant Michael Rajacich, and Radio Operator Arthur Jibilian. 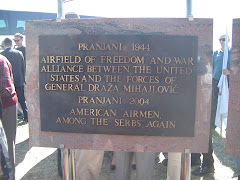 A provisional airfield was literally constructed specifically for the rescue operation in the village of Pranjani in the Gornji Milanovac municipality in western Serbia. It was at this airfield that the C-47 cargo planes had to descend, load, and lift off quickly so as to be able to safely evacuate their human cargo without falling prey to the sizable German garrison only about 25 miles from the air strip. The Germans had tanks and "Stuka" fighter planes. General Mihailovich had thousands of his men form a defense line around the airfield and in the sky above were the American Red Tail fighter units, manned by the Tuskegee Airmen that would provide protective air cover for the C-47's. It was a very risky operation. All of the Americans and others could have been lost, but not a single one became a casualty during the evacuations. Not a single one. They all returned home safely. 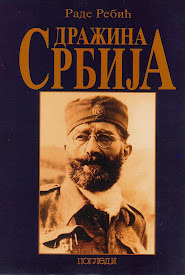 Many had families after the war and today there are many who walk among us who owe their lives to the Serbian General in the far off land who at great risk to himself and his people and without asking for any compensation for his services, did the right thing. 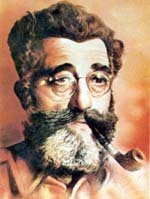 Though there was no reward and the Halyard operation remained classified for many years, and still remains shrouded in secrecy, people like Dr. Ljubo Vujovic have taken it upon themselves to rectify this injustice by investing their time, energy, and resources to bringing light to this epic episode in 20th century history. 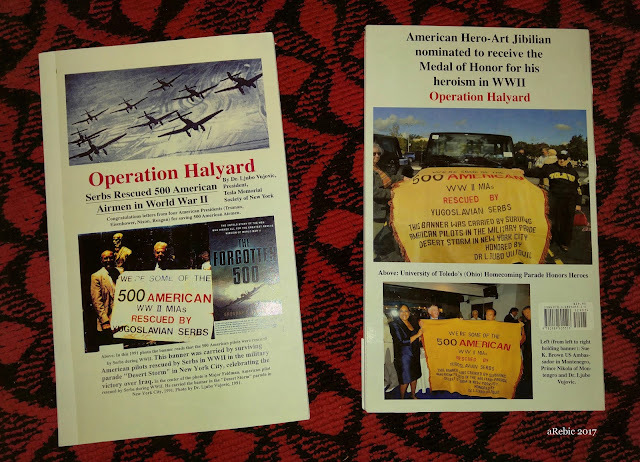 These two Halyard Mission tribute books should find their way into every Serbian home and into the homes of Americans who remain ignorant of what was done for their fellow Americans by strangers in a foreign land who risked everything. 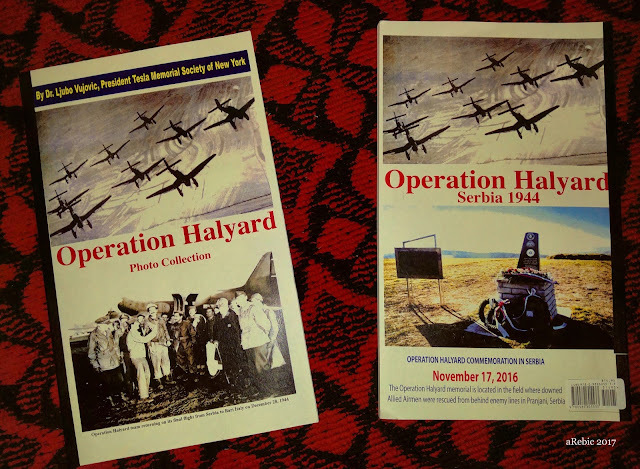 If you are interested in these two picture books ("Operation Halyard" and "Operation Halyard Photo Collection"), please contact Dr. Ljubo Vujovic at teslasociety@aol.com.